Lady Hardcastle and her maid/companion, Flo, are excited to be invited to the estate of Lord Riddlethorpe for a house party and racing week. Having recently acquired one of the new autos, Lady Hardcastle and Flo are determined to be included, not just as spectators, but as racers themselves. But at the first race, an experienced driver is killed in a crash. The crash appears to be a misjudgment on his part but later is discovered to be sabotage. 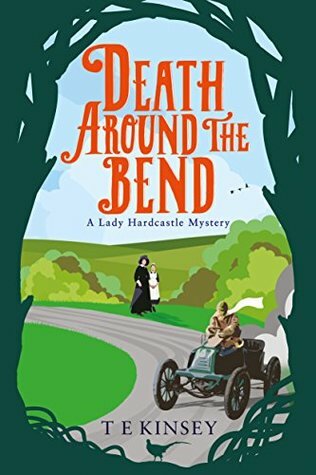 Lady Hardcastle has developed a reputation for sleuthing, so it is natural that Lord Riddlethorpe asks her to investigate. It is a motley crew of guests, from business associates to old friends, but who among them would have sabotaged the race? Old secrets and associations are revealed before Lady Hardcastle finds the answers. A visit with Lady Hardcastle and Flo in the halcyon days before WWI is a welcome respite from our turbulent world. The banter, coupled with the respect and love that the two have for each other shines in the Lady Hardcastle novels. More is revealed about their earlier, adventurous life in the far-east. Lady Hardcastle was actually a spy for the Foreign Office, aided and abetted by the tiny, but fierce Flo. I highly recommend Death Around the Bend, as well as the two previous novels in the series, A Quiet Life in the Country and In the Market for Murder. Thanks to Thomas & Mercer and NetGalley for an advance digital copy. The opinions above are my own. Who is Killing Off the Charwomen?